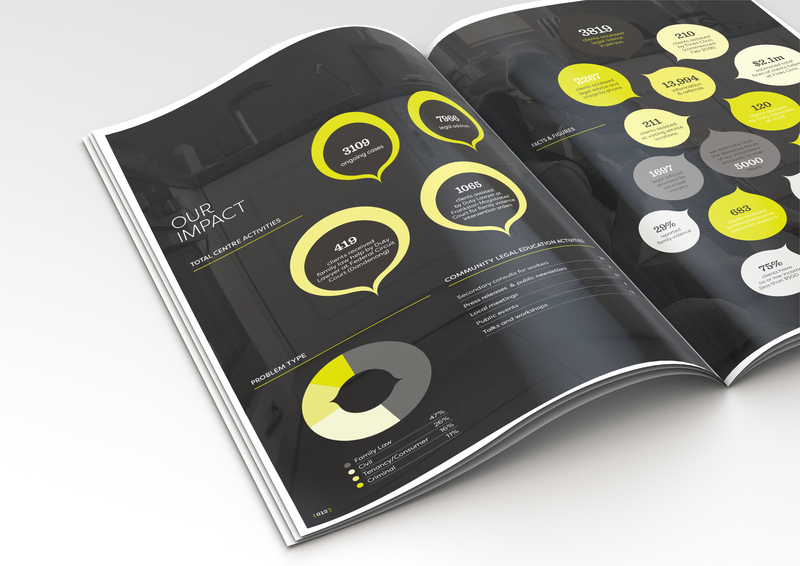 Client: Peninsula Community Legal Centre is an independent, not-for-profit organisation that has been providing free legal services to Melbourne’s south-eastern communities. The Centre helps people use the law to protect and advance their rights, offering free advice on most legal issues. 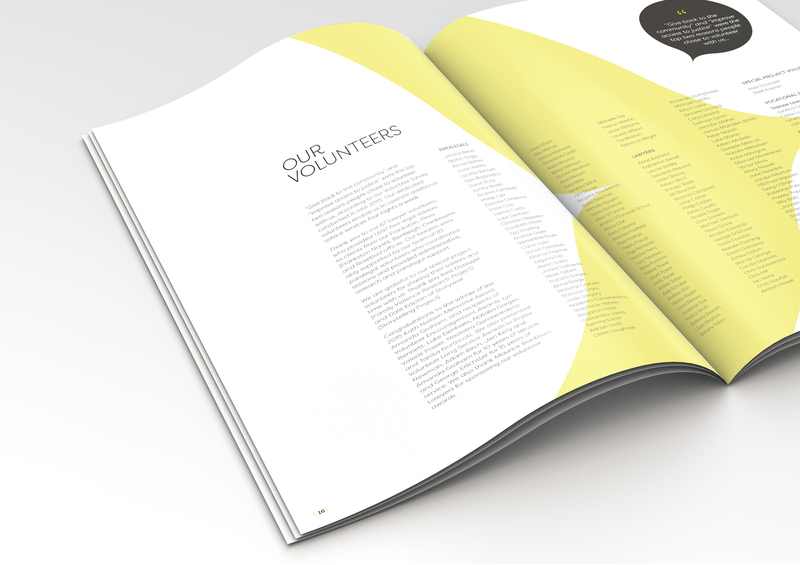 Brief: Each year, we are given the brief to design and produce an annual report which is handed out at the yearly AGM to volunteers and funding supporters of PCLC. It is to look contemporary, progressive and tie in with the PCLC brand. 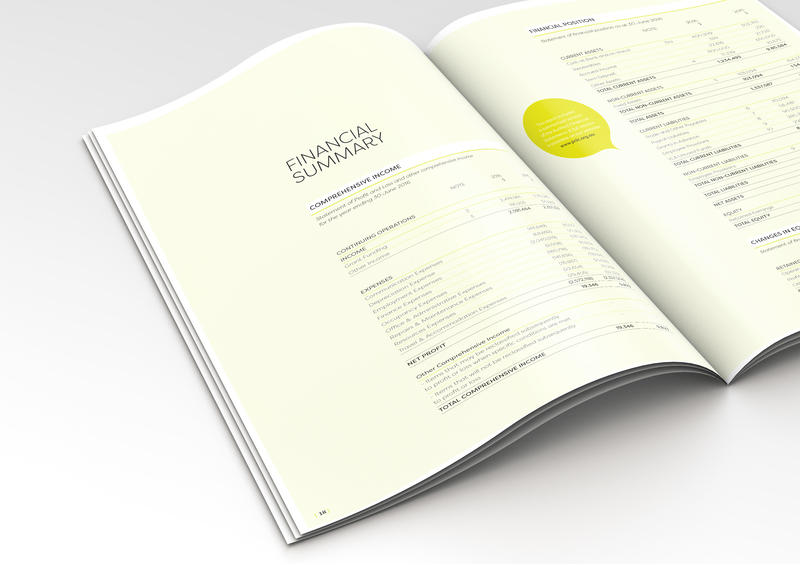 Solution: This is achieved by creating a fresh, dynamic pattern and layout each year whilst holding onto key brand values. 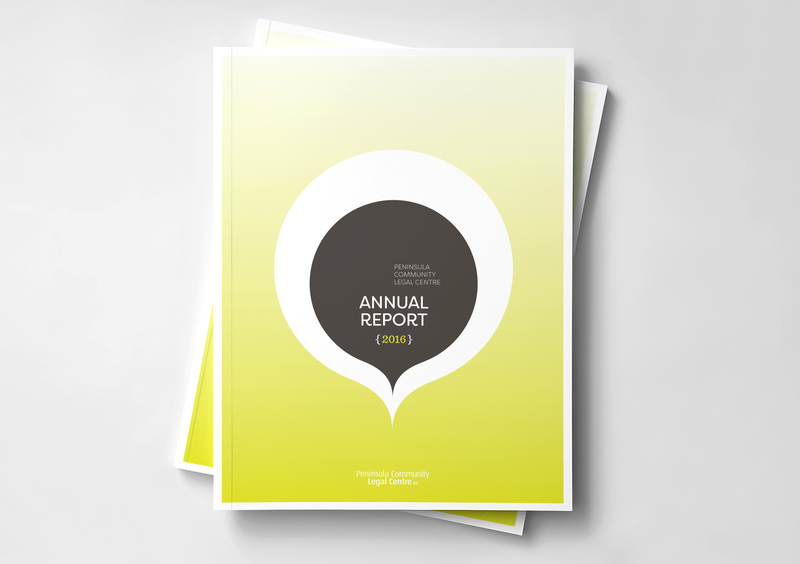 Result: PCLC Annual Report is always well received by the sector and is also now an important communication tool for the organisation.